1 1/4 x 3 x 5 5/8 in. 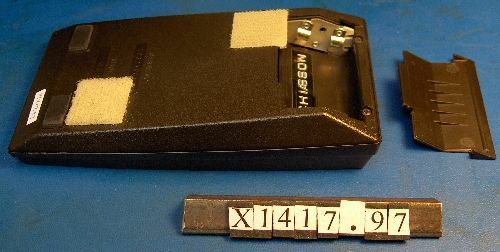 "M. CHIASSON" on label inside battery compartment. 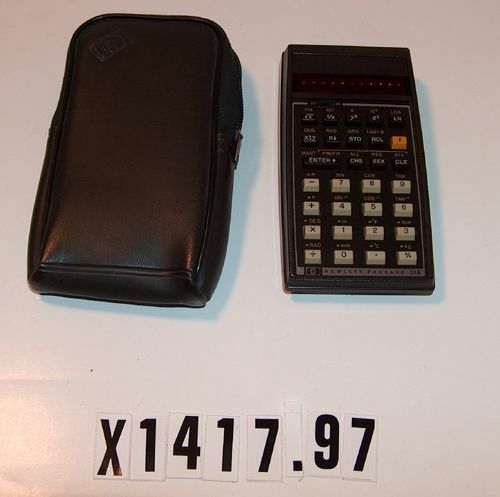 Object consists of calculator and plastic case. Dimensions are of calculator.